Family First - Your Step-By-Step Plan For Creating A Phenomenal Family - DR Phil McGraw. 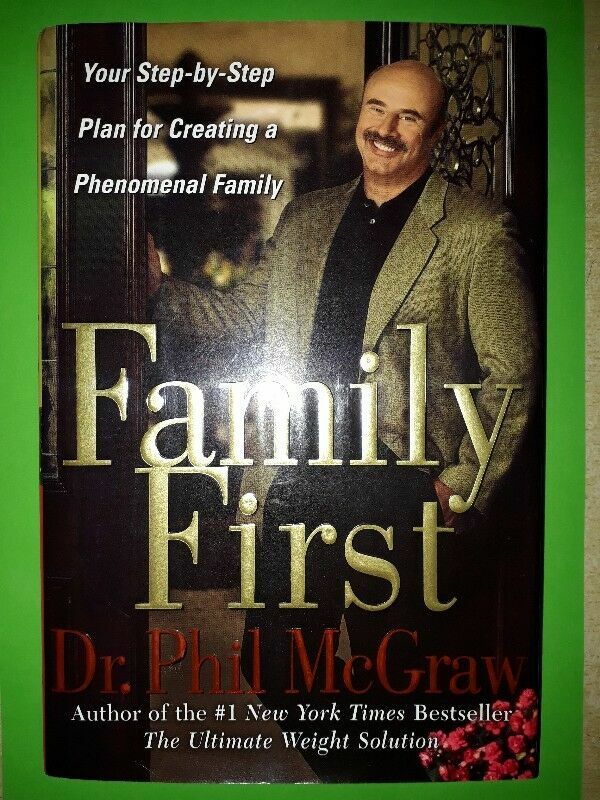 Hi, I’m interested in Family First - Your Step-By-Step Plan For Creating A Phenomenal Family - DR Phil McGraw.. Please contact me. Thanks! I want to talk to you about family: yours and mine. I know and feel that as parents, you and I share some very important priorities. Just like you, I love my family more than anything in this world and I want us all to be safe, healthy, happy and prosperous in everything we do both within our family and as we go out into the world. Cynics will tell you that in our fast-paced society "family" is becoming obsolete, that it is just an old-fashioned, lost concept, getting buried in a busy world of "enlightened" people. I'm here to tell you that that is not right, not even close. Family is even more important today than in generations past, and its erosion is unacceptable. This is a fight we can and must win. This is a fight we will win if we just do our homework and plug in. What I intend to do in Family First is tell you with great precision what you need to stop doing and what you need to start doing to lead your family with such a pure purpose and power that the competing messages and influences are drowned out. I plan to help you define success and then take the steps to create and claim it for you and yours. Your children are the stars in your crown and it is time for them to shine; it is okay for them to shine and, if you do your job, shine they will. -- Dr. Phil.